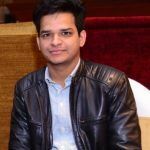 As an Office 365 user, you might have seen many queries on Microsoft communities related to merging Office 365 accounts. Many businesses and individuals often use more than one Office 365 account to manage different users and data. But, there always comes a scenario where they need to merge two Office 365 accounts. For such scenarios, there is no manual method available to merge two Office 365. Even if there is a manual solution available, it requires proper planning and preparations to avoid any interruption to the mail flow. Need to Merge Office 365 Accounts? Here are some scenarios that require merging two Office 365 accounts. If you’re using a business and personal Office 365 account, then you might need to merge them if you want to use them as one account. If an organization acquires another organization, then they try to merge their Office 365 accounts to avoid any contradictions. In general, Microsoft doesn’t provide any manual solution to merge Office 365 accounts. However, you can use two accounts side-by-side, which is not an ideal option for every business. 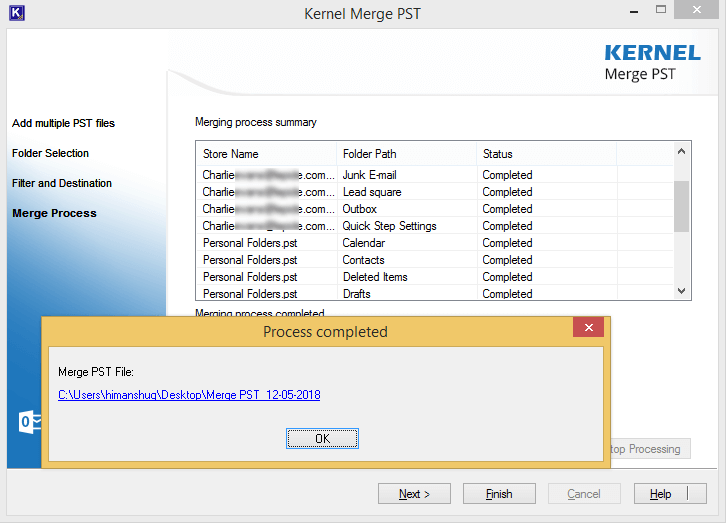 So, what you can do is merge PST files of Office 365 accounts with the help of Kernel Merge PST tool. Here’s how you can do that. First of all, configure your Office 365 accounts with MS Outlook. After configuring the Office 365 account, export Outlook mailboxes to PST using the manual methods. 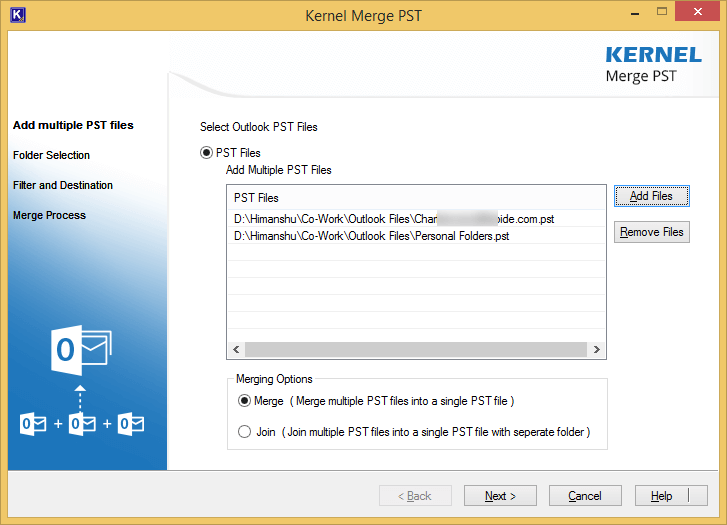 Once both the PST files are saved, you can merge them with the help of Kernel Merge PST tool. 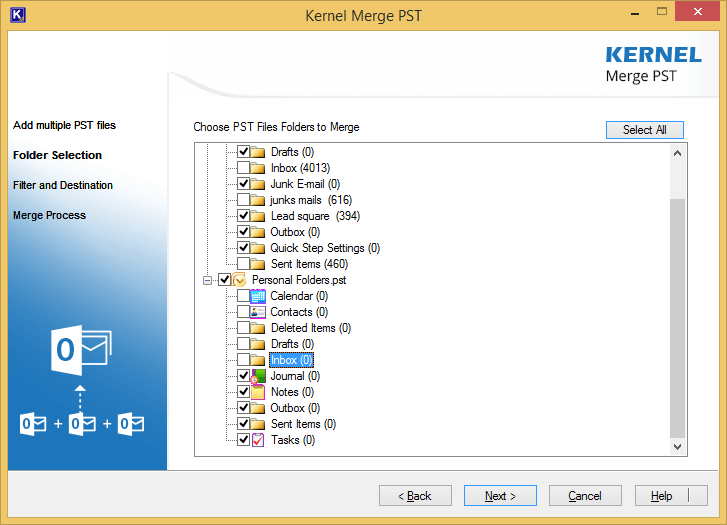 Kernel Merge PST is designed with advanced algorithms to merge/join two or multiple PST files. With the help of this utility, you can merge PST files of any size. Apart from that, it comes with smart filtering options and features, such as merge specific PST folders and items, merge specific items of a PST file based on item type, date, etc. This software is highly compatible with every version of Windows operating system and supports almost every PST file format. So, let’s have a look at the working process of this utility. Download and install Kernel Merge PST on your system. Launch the tool on your system and click Add Files on the home screen to select the specific PST files. 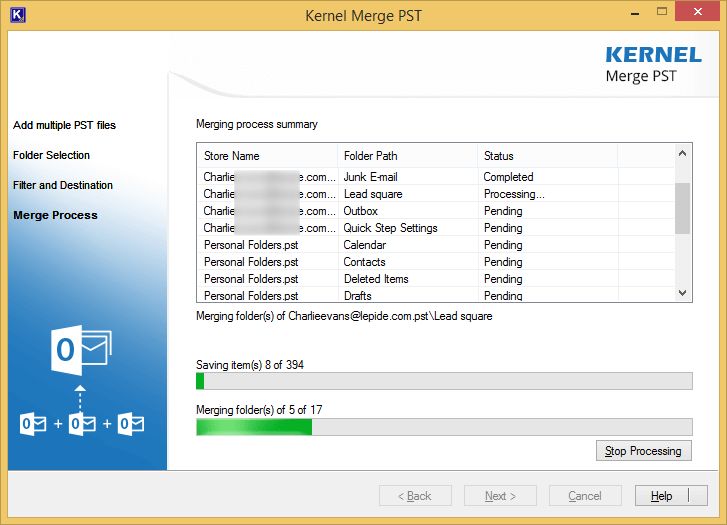 After selecting the PST files, click Next to start with the merging process. Note: This software offers two options to combine PST files. 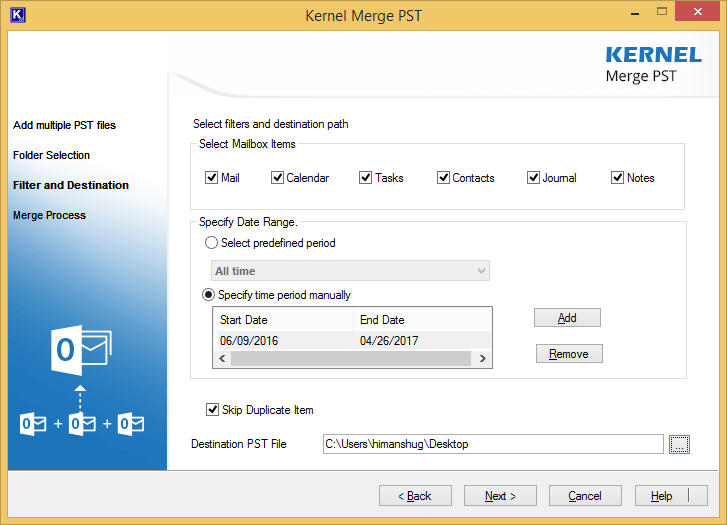 To merge two PST files into one, select “Merge” option, and if you want to join multiple PST files separate folders, then select “Join” option. It will take some time to merge the PST files. Meanwhile, you can see the merging process on screen. Once the process is done, you’ll receive a notification on the screen confirming the same. Click “Ok,” and then click “Finish” to end the process. After merging the PST files, you can easily open it with MS Outlook. This way the Office 365 account with occurs as one account in your MS Outlook. Merging two Office 365 accounts is not necessary, but those who want to use their business and personal account together often want to merge the Office 365 accounts. Keeping that in mind, we have mentioned an effective solution for users to merge two Office 365 accounts.